A former department store in central Edinburgh has been confirmed as a possible location for Johnnie Walker’s multi-million pound tourist attraction. 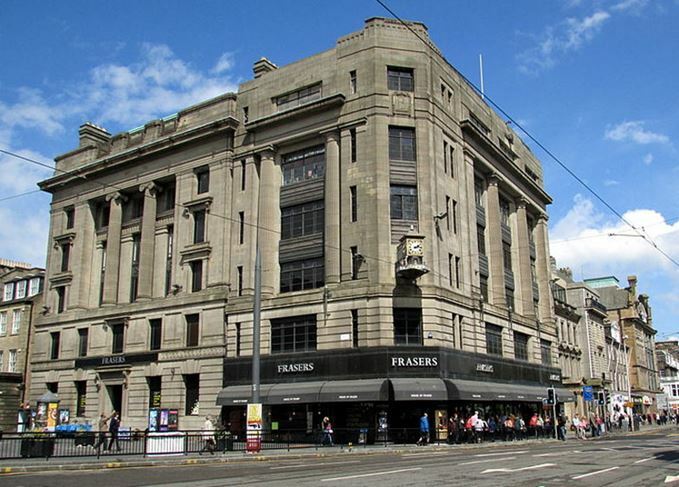 Diageo, owner of the Johnnie Walker brand, is in the ‘early stages’ of negotiations to secure the former House of Fraser department store on Princes Street, which closed in September. If a deal is agreed, the site will be developed into a multi-level Johnnie Walker whisky experience, complete with interactive multi-sensory rooms, allowing visitors to touch, taste and smell every aspect of the whisky production process. Diageo expects the Johnnie Walker Experience to attract the same level of interest as its Guinness Storehouse in Dublin, which welcomes 1.71m visitors each year. A Diageo spokesperson said: ‘We have begun negotiations with the owners of the building at 145 Princes Street as a potential location for the global Johnnie Walker brand experience and we will be engaging with the local authority to explore the planning potential for the redevelopment of the building. ‘This is one of the city’s landmark buildings and we want to explore its regeneration in a way that respects its unique heritage and place in Edinburgh city centre. Plans for the Johnnie Walker Experience in Edinburgh are part of a £185m investment by Diageo in developing its Scotch whisky experiences in Scotland. The whisky producer also plans to reopen its Brora and Port Ellen distilleries in Sutherland and on Islay, while developing its existing 12 visitor attractions across Scotland. Earlier this month Diageo also opened its first flagship Johnnie Walker store in Madrid, a concept that it confirmed could be scaled to additional locations if successful. Prominent street artist Tristan Eaton has collaborated with Johnnie Walker for art-inspired range. Rum Cask Finish, Wine Cask Blend and Espresso Roast whiskies join the brand’s experimental series.